MERRITT ISLAND, Florida -- The U.S. 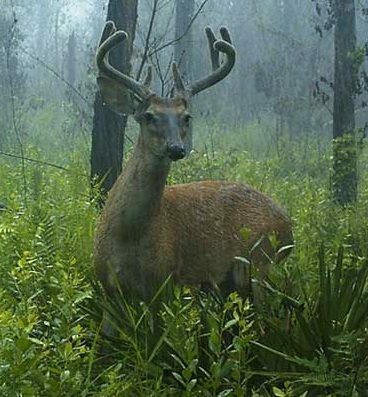 Fish and Wildlife Service is proposing to allow a deer and feral hog hunt on about 6,000 acres on the Merritt Island National Wildlife Refuge near Merritt Island and Titusville, Florida. The Merritt Island National Wildlife Refuge invites the public to comment on the proposal and will hold an informational public meeting on July 8, 2013 at the Mims/Scottsmoor Public Library, 3615 Lionel Road, Mims, FL at 6 p.m. Refuge staff will present the proposal, answer questions, and take your comments. Wildlife officials say that the proposed hunt will not eradicate or control feral hog populations, but will remove some animals and possibly lessen the amount of damage and vehicle strikes. Please ensure your comments are received by July 22, 2013, to be included in the development of an environmental assessment for the proposed hunt. The public may submit comments at the public meeting or via mail: Merritt Island NWR, Attn: Upland Hunt, P.O. Box 2683, Titusville, FL, 32781, or via e-mail to: merrittisland@fws.gov.